Devoted to helping your business succeed, the law office of Fredenberg Beams in Phoenix, Arizona, is here to help you with all of the serious and pressing legal challenges affecting your commercial enterprise. One of the aspects that sets our law firm apart from other legal practices is that we are keenly focused on your bottom line. We see ourselves more as your trusted business adviser rather than an expense on your spreadsheet, and we will work to prove our worth through the unmatched counsel and support we will provide to you and your company. 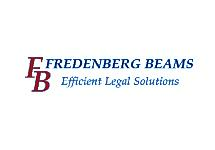 To begin the process of retaining the quality, cost-effective representation you deserve from a local attorney totally devoted to helping you protect and grow your business, you can contact Fredenberg Beams to schedule a consultation.